Zephyrhills 100th Anniversary: 4-H Contributions Then & Now - Zephyrhills, Florida 100th Anniversary! 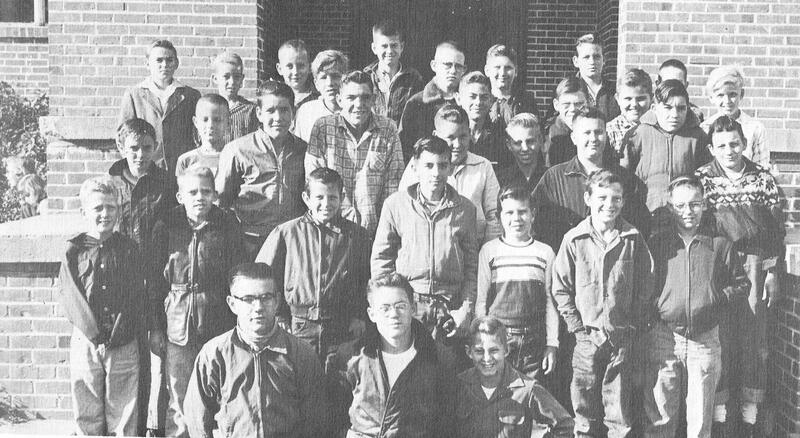 1957 4-H Boy’s 4-H Club at Zephyrhills High School-Fred Trebour, Robert H. Campbell, Johnny Clements; second row-Paul Pattie, Paul Carlson, James Scborila, Curtis Tucker, Tommy Ross, Charles Grantham, Kenney Bloom; third row-Fred Lott, Jack Bently, John Dickinson, Ralph Couper, James Hill, James Clark, Ronald Highsmith, Tommy Geiger, Paul Yebba; fourth row-Larry Weicht, Jerome Outlaw, Jimmy Daniels, Leslie Dixon, Billy Coolidge, Charles Petty, Ronald Humphries, Marion Amerson, Tom McQuaddy, James Bohanan, Eddie Johnston, Leon Wilson. Photo from ZHS. The week of October 5th was National 4-H week. With our recent article on the contributions of scouting to the development of our community’s rich history, we wanted to focus attention this week on another important nonprofit youth organization, 4-H. Florida 4-H celebrates its 100th anniversary in 2009 and boasts 234,000 members and 10,000 volunteers statewide. Florida 4-H began with corn clubs for boys in 1909 which was followed by tomato clubs for girls in 1912. The history of Zephyrhills is full of reference to 4-H and Extension organizations. In the early years of 4-H, projects were mainly focused on canning, corn growing and livestock projects. In the 1930’s, expansion of 4-H projects for girls included offerings such as clothing, home management, food and nutrition, and other home economics projects. Expansion for boys encompassed soil conservation, tractor driving, engineering, electricity and agricultural production projects. We know from our research that Zephyrhills had a 4-H club as early as 1913. Our article this week provides just a few snapshots of 4-H over time in our community. The historical vignettes come from both pages of microfilm and recollections of local ZHS alumni. We realize the list is by no means, comprehensive, but we hope it will give you an indication of the educational impact that this organization has had over time. See if you recognize any of these names? Please share with us more 4-H memories. 1913: Mrs. Rosemary Wallace Trottman, the author of The History of Zephyrhills, 1821-1921, was an active member of the Zephyrhills 4-H Tomato Club back in 1913. Rosemary was invited to be the keynote speaker at a 1976 4-H banquet and proudly detailed her tomato projects in the early years of the town when nearly every city home had a hearty garden and livestock. 4-H was not only social but important for learning some basic skills. She added that the passing of the Smith Lever Act was critical because it created the cooperative extension service. In 1926 the News announced that the annual camp of Home Demonstration 4-H Club girls would be held at the Port Richey home of the Demonstration Agent, Mrs. Harriett Ticknor. A photo of the girls in vintage bathing attire drinking bottles of milk, was posted proudly in the newspaper of the day with a caption entitled, Milk For Health. An announcement in the October 1939 Zephyrhills News celebrated students, Max Bryant & Dave Boatwright for winning University of Florida 4-H Scholarships as a result of their Florida Dairy Team Demonstration competition. The boys competed at the Golden Gate Exposition in San Francisco and the community delight was depicted in the article as it stated, We have just received a wire from Mr. McClellan stating that the Florida Dairy Demonstration Team won the scholarship in the National Dairy Demonstration Contest in San Francisco. 1954: Phyllis Geiger Debien of the class of 1954 related that the mention of 4-H brings back great memories. Marianne Simmons was our leader so you know we always had plenty of projects to do (sewing, cooking, crafts, etc.) I still have some of the ribbons that I won at the county fair, but the most memorable event was summer camp, years 1946-48. We went to Camp MacQuarrie on a lake up near Ocala and slept in log cabins with bunk beds. It was the first time away from home except staying with cousins. Crafts, singing, talent night, swimming lessons in the lake and some boating—I will never forget the feeling of that cold wet bathing suit in the morning! 1957: The News reported on a September 1957 meeting at the Florida Power Home Service Center of the 4-H Club. New officers for the year were Laura Higginson, President; Ann Brooke Smith, vice president; Leslie Smith, secretary-treasurer, Barbara Higginson, Council Delegate, Betty Jo Hall, song leader and Ellen Barefoot, reporter. Six Crystal Springs 4-H Club boys were also recognized at the annual county awards banquet that year: David Coell, dairy judging team; Joe Higginson, garden, dairy judging team and junior lamb; Paul Pattie, safety, dairy judging team, electricity and swine; Richard Morton, dairy judging team; Hal Morton, electricity and safety; and Jim Marsh, safety. 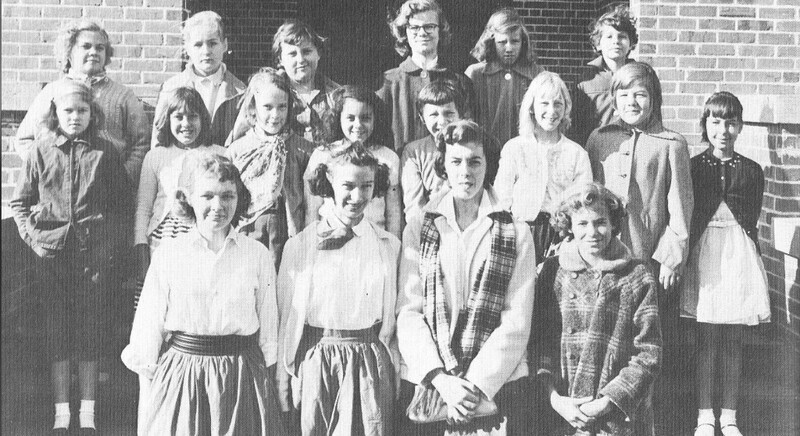 1957 4-H Girl’s 4-H Club at Zephyrhills High School-Barbra Higginson, Laura Higginson, Ann Smith, Leslie Smith; second row-Brenda Sue Brown, Myrtis Nelson, Vickie Hopkins, Patricia Jackson, Nancy Overhauls, Elaine Howard, Mary Ann Trebour, Patricia Chancey; third row-Gail Hill, Judy Trebour, Fay Gaskin, Ellen Barefoot, Vonceil Smith, Carol Shinner. Photo from ZHS. 1964: Leslie (Smith) Ehrich, Class of 1964, told us that 4-H was a significant part of her youth in Zephyrhills. She related that her sister and two brothers were also in 4-H: Ann (Smith) Neukom, Class of 1958 and Ben Smith, Class of 1959. We were all 4-Hers along with our older brother Chan, who had already graduated in Virginia before we moved to Zephyrhills. During my school years, from age 9 until I graduated, 4-H was a large part of my life. Our mother, Mary Jeter, had been a 4-H’er in her youth and she raised us in the program. As farm children, it was just a part of our lives. We participated in most all of the projects offered. Back in those days, girls were expected to have girl projects and boys had more of the agricultural side. When we arrived in Pasco County, there were no girls in the dairy program. Only after Mama assured the County Agent that she would be with us all the time, were we approved to show our cattle. Mama was very knowledgeable on the subject and taught us well. We all seemed to have a livestock aptitude and we enjoyed a lot of success with our Zephyrhills Guernsey dairy cattle. For me in particular, what I didn’t learn from Mama at home, I learned in 4-H. With my best friend, Jere (Alston) Harkness, Class of 1964, by my side, we learned to sew this and cook that. We made annual trips to Tallahassee (FSU) for additional classes on subjects that we could take back and share with younger members. One of my proudest 4-H accomplishments was a young lady from Zephyrhills who was just getting into 4-H as I was getting out. She had been given a Guernsey heifer calf and I spent many afternoons working with her and the calf. Bonnie (Brocies) Jolly, Class of 1972, was one of the best 4-Her’s Pasco County has ever had. She participated in many different projects, with emphasis on her dairy cow and beef steers each year. And now, after all these years, she is an Extension Agent in Kentucky, and of course, works primarily with 4-H groups. We are still close friends. 4-H gave me my proudest moments of my youth years. 1965: In 1965 Zephyrhills 4-H was featured in National Geographic magazine. Ron Penn, class of 1965 related that his grandmother, Mary Lloyd, was one of the 4-H leaders and he actively participated in swine and poultry projects. Coincidentally, he and another ZHS alumni, Joe Maniscalco made national news in October 1964 when a middle-eastern dignitary was touring Pasco County. To experience the local culture, the visiting official was taken to none other than a county fair, Pasco. Feeling it was newsworthy, National Geographic published a prominent photo of Ron and Joe with Ron’s prized rooster. Ron says he still has the 4-H pin from his project. 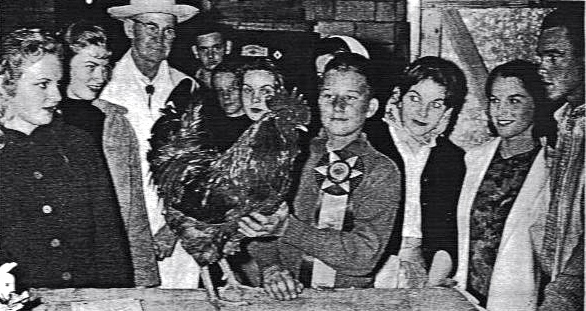 Ron Penn and Joe Maniscalco with Blue Ribbon 4-H Rooster at Pasco County Fair in 1964; photo appeared in National Geographic. Photo from Ron Penn. 1972: The Pasco County 4-H Dairy Judging team in February 1972, placed first at the Florida State Fair and included Denise Williams who placed as high individual among the 60 4-H youths competing; Pam Griffin who ranked as fourth high individual; Octavio Blanco who ranked as fifth high individual and Martha Mester of Zephyrhills. 1976: In 1976 a News article discusses the annual awards ceremony with mention of several Zephyrhills students. The program opened with the pledge to the flag led by Jodi Cochrane and the 4-H pledge led by Missy Hush, 4-H creed by Mike Nutt and devotions by Martha Ross. Linda Dukes, president of the 4-H County Council presided with assistance by David Herring. Topics included: Public Speaking by Steve Lane; demonstration on electrification by Greg Seigrist; County Council Report by Diane St. Romaine and Scott Black, and Share the Fun by Kathy Hormuth, Martha Ross, Jan Jernstrom, and Don Jernstrom. Reports were given on pertinent topics: Citizenship Short Course by H.V. Nawlin; 4-H Congress by Tina Dukes; Teen Leadership Forum by Linda Dukes and Leadership Camp by Ronda Ferguson. County Commissioner Bill Hamilton presented county record book. Special awards were given to Valerie Trippet of Zephyrhills, achievement; David Herring and Kathy Nawlin, Outstanding 4-H’er of 1975-76; Ronda Ferguson and Scott Black, Essay Contest Winners. Record book winners for the 1976 included: Valerie Trippett, Erik Dukes, Clark Mickler, Jesse Bryniarski, Don Jernstrom, Debbie St. Romaine, H.V. Nawlin, John Huggins, Rita Boyd, Elaine Cochrane, Martha Ross, Bob Hunt, Tina Dukes, Valerie McBride, Jody Cochrane, Bryan Lofley, Jane Futch, Nancy Nawlin, Greg Seigrist, Jan Jernstrom, Scott Black, Marilyn Sumner, Jimmie Huggins, Kathy Nawlin, Ronda Ferguson, David Herring, Joan Sumner, Kathy Norton and Greg Partridge. 1978: Earning the right to compete in the Florida’s 4-H Congress State Finals events July 24-28, 1978 at the University of Florida at Gainesville were four Zephyrhills students: June Neumann, horticulture; Jodi Nutt and Laura Mester for a team demonstration in agriculture; Don Jernstrom in veterinarian science and Ronda Ferguson in public speaking. 1980: Susan Steuart McGee, class of 1980 said, I remember really enjoying 4-H meetings and one thing that I vividly recall was doing a demonstration on compiling a sewing basket with fellow 4-H’er, Ronda Ferguson. We won first place! 1993: Robin Counsell started Zephyrhills 4-H Club and met regularly at Woodland Elementary. A wonderful community activist, Robin planned monthly activities along with her cousin, Tommy Martin. Livestock projects and workshops were regular events. Robin was always adamant that the club participate annually in the Coastal Clean-Up project. Andrea Counsell, Jean Morel, Andrew Counsell, Mamie Wise, Jeremy Morel and others showed pigs and steers each year. When this club was phased out, Mamie went on to join Leaders of Tomorrow 4-H Club lead by Francine Hancock. Pasco County lead the state when Wise became State 4-H President and Tye Reedy became Vice President in 2001. Mamie and Kristin Benedini competed at state public speaking competitions as well. Current officers in 2009 of Zephyrhills 4-H: President: Jeffrey Mitchell, Vice-President: Evan Freeman, Secretary: Summer Belasic, Treasurer: Serena Tackett, Reporter: Bradley Boydston, and Cloverbud: Mallory Crandell. Photo from Christie Combs Mitchell. 4-H club was established in 2004. Today the Zephyrhills 4-H Club is one of the most active clubs in Pasco! We have a great group of members, leaders and parents who all share in the love of our community, 4-H and agriculture. 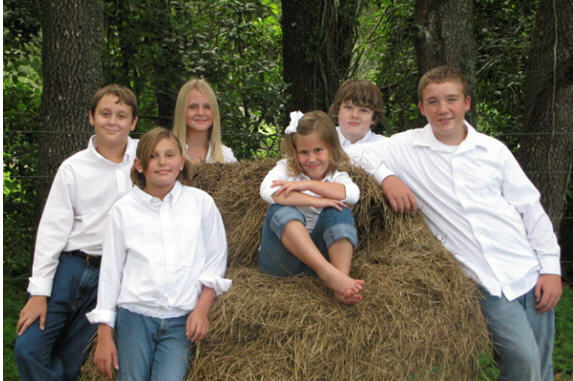 The 2009/2010 Zephyrhills 4-H Club Officers are students: Jeffrey Mitchell, President; Evan Freeman, Vice President; Summer Belasic, Secretary; Serena Tackett, Treasurer; Serena Tackett, Reporter and Bradley Boydston, Cloverbud. As an author, please indulge me as I share that my daughter, Rachel Wise is also currently an active 4-H member of Boots & Bits 4-H Club along with ZHS Junior, Julie Baniszewski. They focus on equestrian projects and do loads of community service in the area as well. We have only captured a small contingent of 4-H history in the Zephyrhills community. Please share with us your recollections of 4-H and its contributions to the community. By Madonna Jervis Wise and Clereen Morrill Brunty of the 100th Anniversary Committee, ZHS. Article originally appeared in the Zephyrhills News on October 15, 2009. PreviousOfficial Zephyrhills 100th Anniversary Logo Unveiled! This is the first time I have seen this. I cannot begin to tell you how much 4-H meant to me in my youth. Mary Jeter was like a mother to me and Leslie like a sister whom I continue to stay in contact with today. I left Fla in 1974, married in 1975 & currently live with my husband on a farm in Hardin County just south of Elizabethtown. I graduated from UK in 1977 with a BS in Animal Science & Western KY Univ in 1995 with a MA in Education. I went to work for the UK Cooperative Extension Service in 1996 as a 4-H agent in Hardin County. While the generations have changed the friends and memories remain forever. The Griffin, Mester, Barthle, Wallick and Tomkow families are just a few of my 4-H connections. It is good to see that 4-H is still strong and hope that those today appreciate it as much as the rest of us did.